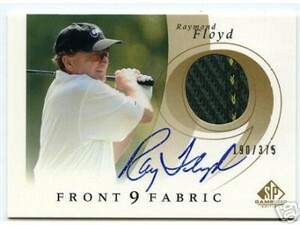 Ray Floyd Upper Deck SP certified autograph card featuring a swatch of a shirt the former Masters champion wore in competition. Individually numbered out of only 375 produced. ONLY ONE AVAILABLE FOR SALE.